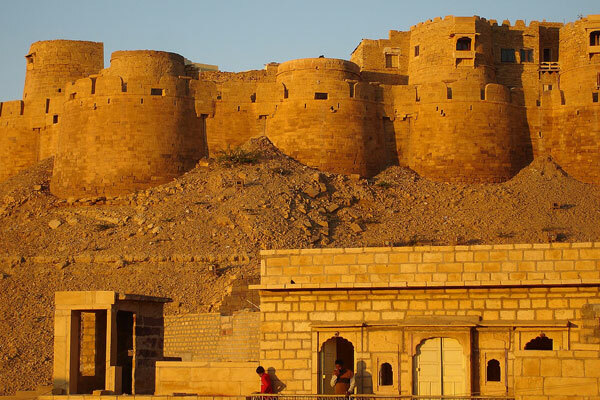 The fort stands about 100 meters over the city and in fact houses a citadel within its huge ramparts. 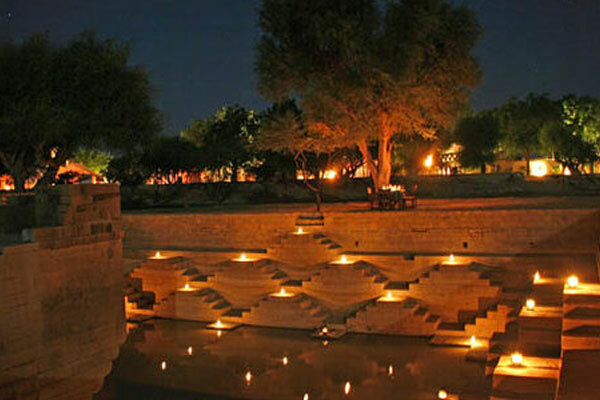 Walking down the narrow cobbled stone lanes, one can feel the sheer magic of Jaisalmer. 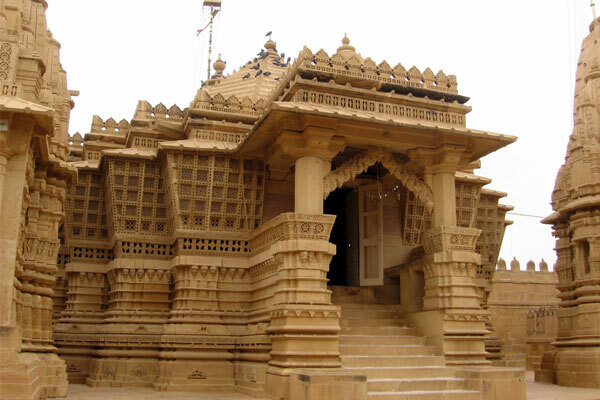 This group of fine Jain temples were built in the 12th to 15th century within the Jaisalmer Fort. They are beautifully carved and dedicated to Rikhabdevji and Sambhavanthji. 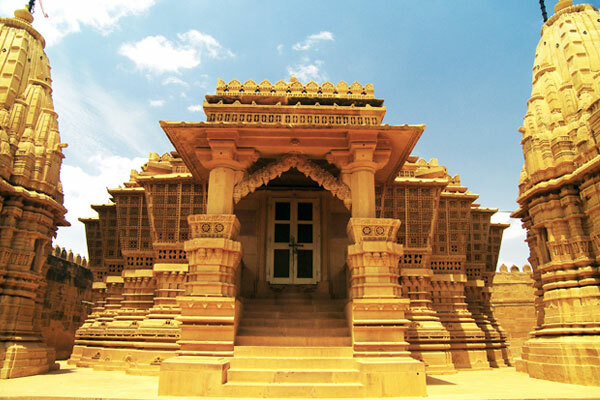 -Situated in the centre of the city, it was originally established as an adjunct to the famous Jain temples. But over the years it has accumulated a wealth of historical treasures. 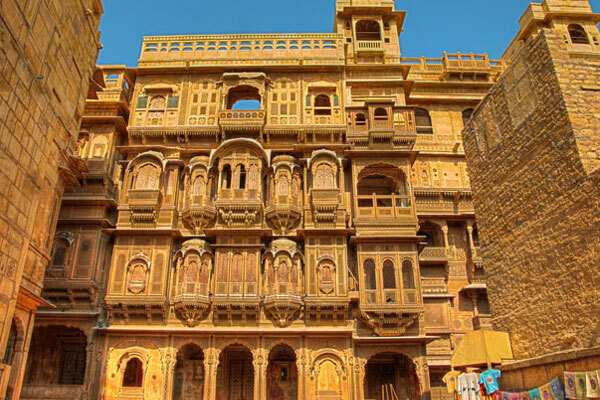 This is one of the largest and most elaborate havelis in Jaisalmer and stands in a narrow lane. It is five story high and is extensively carved. 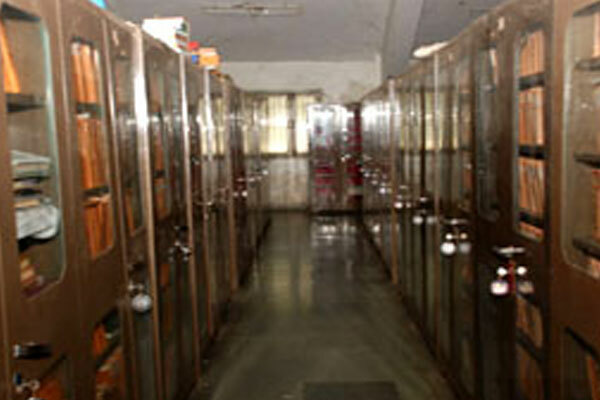 It is divided into six apartments, two owned by archaeological Survey of India, two by families who operate craft-shop and two private homes. 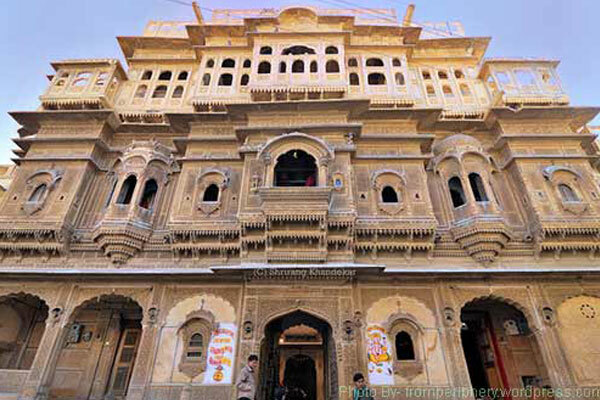 One very interesting fact about this haveli is that is two sides were carved by two brothers. Although the motif used by one is not similar to the other, they are in harmony. This haveli was built about 300 years ago and a part of it is still occupied. 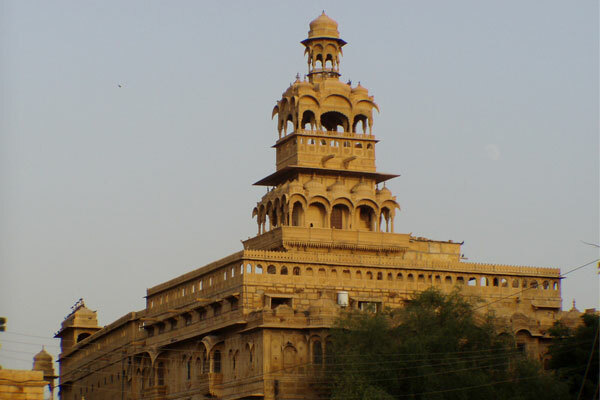 Salim Singh was the prime minister when Jaisalmer was the capital of the princely state and his mansion has a beautifully arched roof with superb carved brackets in the form of Peacocks. The Pagodas like Tazia Tower rises from the Badal Mahal (Place of Clouds). Each story of this five-tiered tower has a beautifully carved balcony. This tank, south of the city walls, was once the water supply of the city and there are many small temples and shrines around the tank. In winter a wide variety of water birds flock here. 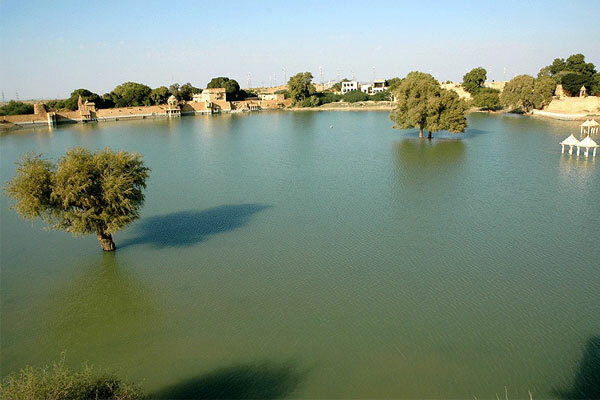 (9 km from Jaisalmer) : This is another pleasant small garden and tank. 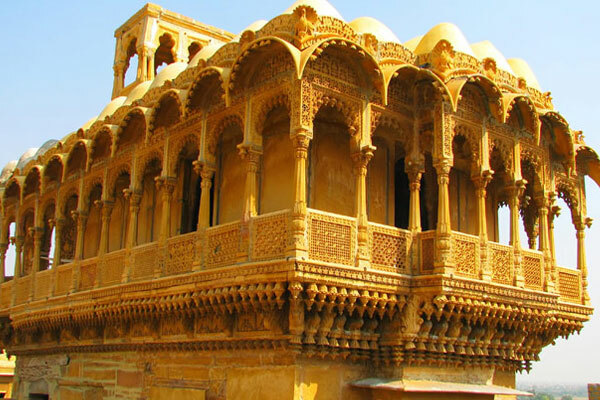 (17 km from Jaisalmer) : this is the ancient capital of Jaisalmer, where some vestiges of former glory remain. 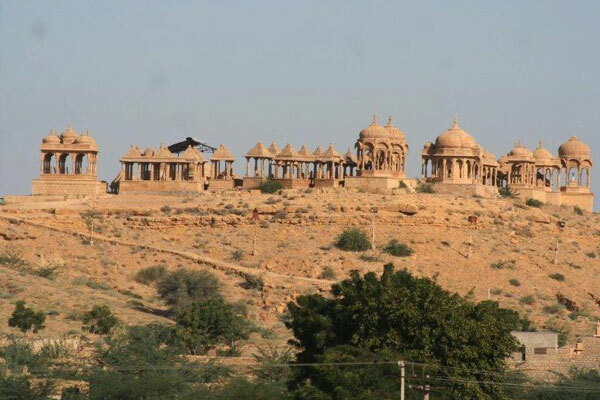 (16 km from Jaisalmer) : It is a fossil park where 180 millions years ago stood a forest. 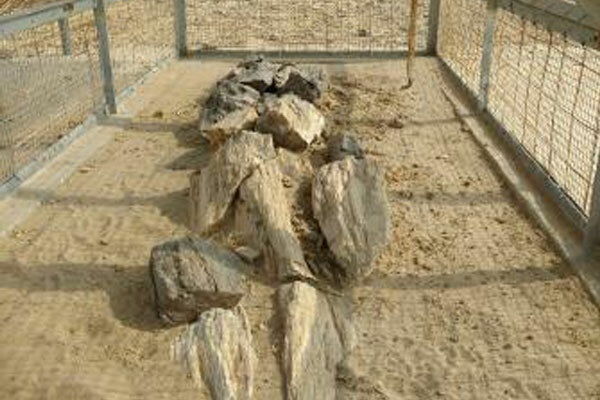 The fossil trunks lie scattered in this part. 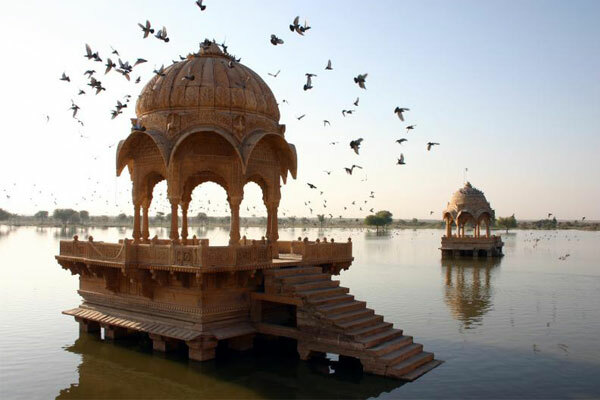 (40 km from Jaisalmer) : It preserves the eco-system of the desert within its confines. 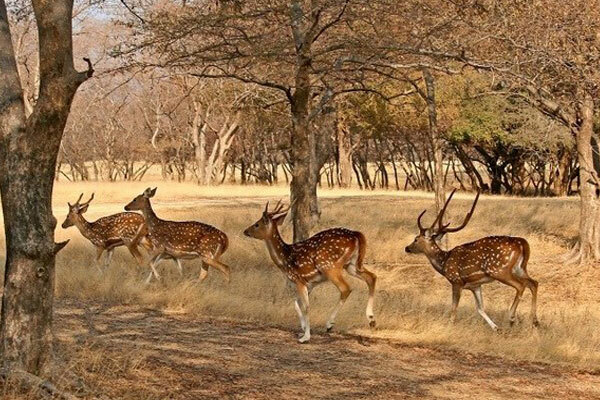 The monitor lizards, desert foxes, porcupines, occasional wolves and black bucks, and the Great Indian Bustard (a protected bird) are found here. 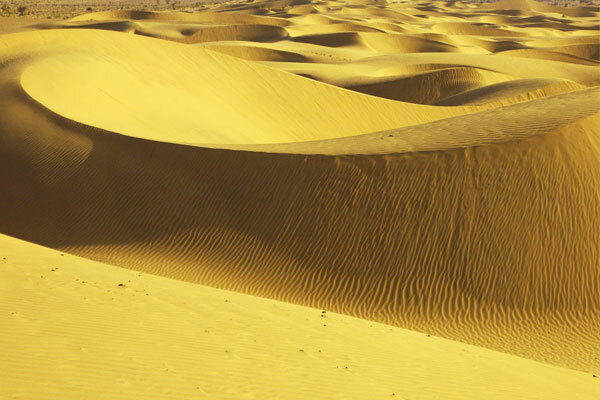 (42 km from Jaisalmer) : It is the closest point to witness the total sandy desert. It is a great place to see patterns carved out by winds on the sand. 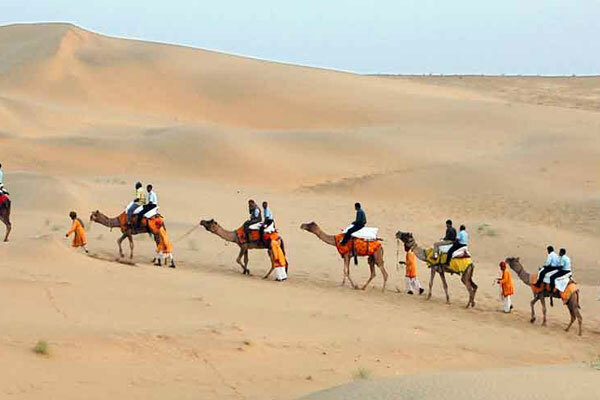 Camel rides on the sand dunes are an unforgettable experience as is the sunset. 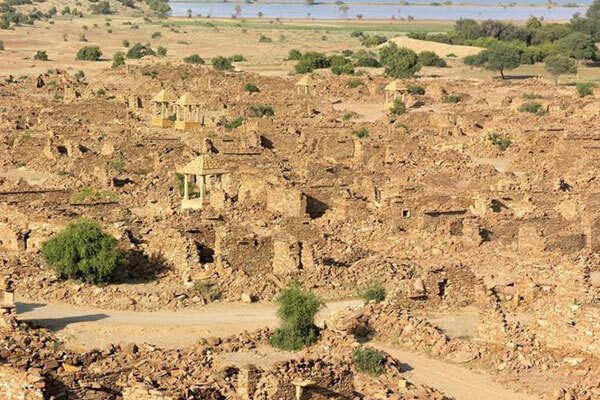 Out in the desert, and just 40 kilometers south-west of Jaisalmer, lies the village of Khuri. The main attraction here is the desert solitude and beautifully decorated houses of mud and straw. Accommodation options are also available here to get an authentic flavor of desert life.